Happy Friday! I apologize for not posting too often lately; I have been having serious writer’s block. I have topics for ideas that I want to write about, but when I sit down to write, nothing wants to come out. I’m also working on the edits to my second book, which will come out on June 27th, so that’s been sucking up some of my writing brain power. My “Stress Less with Yoga” 10 Day Challenge. I’m seven days into my 10 day challenge and I am really loving getting to hear from my challengers. It warms up my heart to hear how they’re incorporating a breathing technique they learned into their day to help cope with stress. It really is amazing what just 10 minutes a day can do! 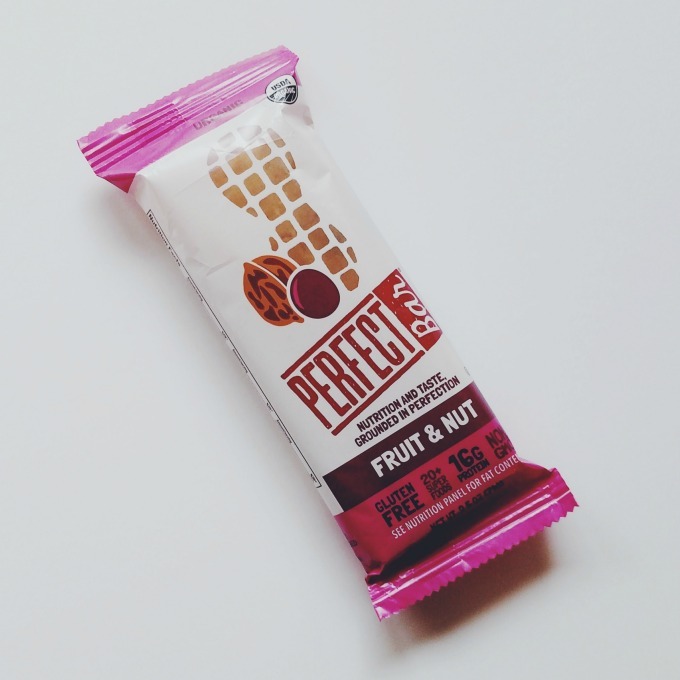 Fruit & Nut Perfect Bars. So Almond Butter Perfect Bars will always be my favorite (although I have yet to try the chocolate bars…), but I’m quickly falling in love with the Fruit & Nut bars, too. There’s a nice balance between the fruit and peanut butter flavors. Well done, Perfect Bar. Rainbows. 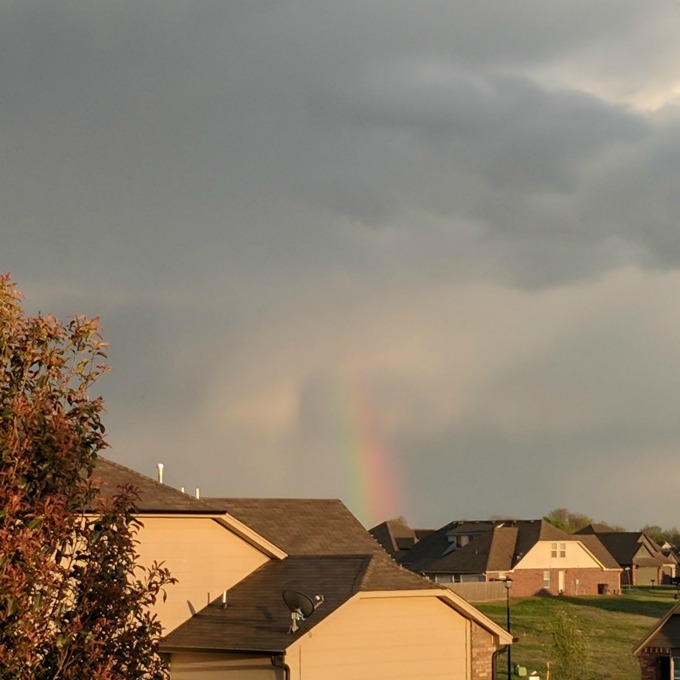 We got a nice rainbow the other night after some thunderstorms rolled through. We get such pretty skies in Oklahoma; my hubby and I regularly admire our sunsets. We definitely enjoyed this rainbow, too. Caffeine. I’m not gonna lie: this week has been a little rough. Too much to do and too little time to do it. 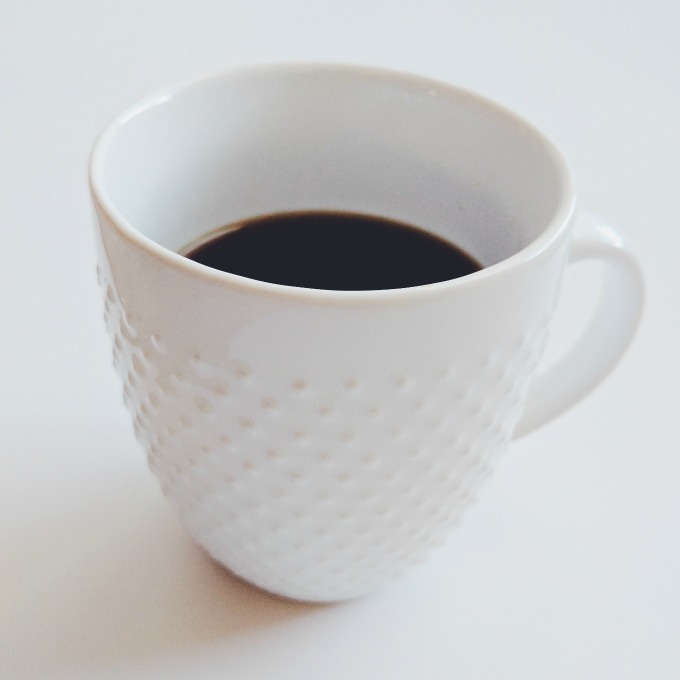 I’m still minimizing my caffeine intake, but I’ve been having a cup of green tea a day, or sometimes a mildly caffeinated black tea. It’s just enough to help me power through the day. Also, I’m totally in love with this coffee mug, which admittedly I bought because I thought it would photograph well. Thanks, Target! What are you totally in love with this week? Have you been watching Sweet Home Oklahoma? I think you need to start living like them 😀 I need to try those Fruit and nut bars, and I would LOVE some rainbow action! Loving the yoga series as well! It’s helped me get through a stressful week for sure! I’m also enjoying bike riding and new running routes for our local running club.